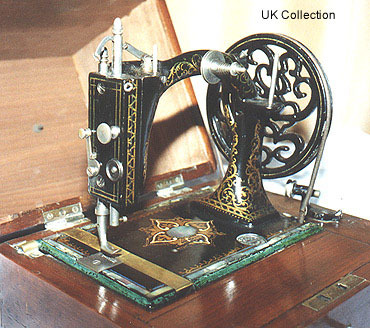 Vintage sewing machine - Holmes "Ariel". The "Ariel" was produced by J.Holmes of Manchester, UK late 1860's - early 1870's. This ultra-desirable model was beautifully decorated with gilt and mother of pearl inlay. The machine came complete in a fitted polished walnut carrying case.